The Livin Room gives you the best of both worlds. 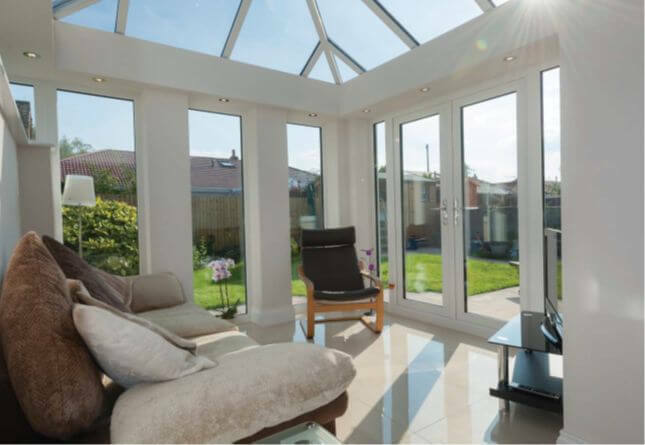 By marrying together the natural light of a conservatory with the walls and ceiling of a home extension, giving you a pleasant, relaxing family room. The plasterboard outer perimeter ceiling is ideal for down lighters to be inset. Loggia is a unique building concept which gives a modern twist on the traditional orangery design, giving you an affordable, luxurious extension to your home, one which can be used comfortably all year round, as it will stay warm in the winter, but cool in the summer. Combining the best of British building excellence blended with Italian inspiration. A Loggia extension will add significant value to your home and everyday living, making it a sound financial investment. Available in a range of design options, giving you the ability to improve the look and thermal performance of your home extension. The Loggia Prestige style incorporates narrow columns (full height or sit on a low wall), Prestige insulating pelmet* and LivinLight (new range of lighting design). 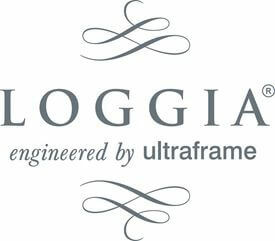 Loggia home extensions are available in a range of colours (classic white, landmark green, pure cream and urban grey). *Upgrading from the Prestige insulating pelmet to Livin Room will further increase the thermal properties of your Loggia home extension. Available in a range of design options, including multiple wide or narrow columns sitting on (or off) plinths, internally insulated with Livin Room, warmed by wirelessly controlled radiant electric panel heaters (available in enamel white or textured black) and illuminated by LivinLIGHT. A Loggia Premium home extension replaces masonry piers with super insulated Loggia columns. These are up to five times more thermally efficient than brick. Loggia Premium incorporates the Livin Room perimeter ceiling, which vastly improves the thermal properties of a Loggia home extension. The integrated electric panel heaters fit seamlessly in to the full height of the wide column corner, providing more than half the heat you will require through the winter months. A Loggia Ultimate home extension blends all of the elements of a Loggia Premium with the realROOF roofing solution. The realROOF roofing solution offers a magnificent vaulted plastered ceiling on the inside enhancing the feeling of space. It can be dressed on the outside with tiles or slates to exactly match those of your home. A Loggia Ultimate home extension allows you to integrate huge sliding doors, Bi-folding doors and whole elevations of glazing. This gives you total control of the design and layout of your new space, and as much light as you desire.